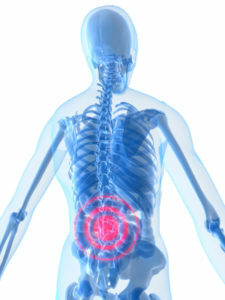 Is that constant pain in your lower back a sign that you need back surgery? What about that chronic burning sensation that travels from your lower back to your buttocks and legs? Aches and pains can naturally develop in the back, especially as we age. However, it is important to determine when a pain is a minor side effect of aging and when it is something more serious. If you have chronic pain in your back that worsens when you move and prevents you from enjoying your daily activities, you should schedule an appointment with one of the orthopedic experts at Tahoe Fracture & Orthopedic Medical Clinic in Reno, Nevada. These treatments are designed to relieve pressure on the pinched nerve in your spine and to improve the strength and stability of the muscles that support the spine. For most patients, conservative treatments will reduce the need for back surgery. However, if the treatments are not effective at relieving your pain after several weeks, your doctor may discuss back surgery options with you. To determine the back surgery options available to you, or to learn more about how to reduce the chronic pain in your back, contact Tahoe Fracture & Orthopedic Medical Clinic in Reno, NV today.